Luigi Pirandello won the Nobel Prize in Literature in 1934 for his “bold and brilliant renovation of drama and the stage.” His Six Characters in Search of an Author, which dates from 1921, is an absurdist metatheatrical play about the relationship between authors and their characters. A dysfunctional family of six bursts into a rehearsal of another Pirandello play with a curious claim: they are characters who have been abandoned by their author and are seeking someone to complete their story. The theater manager is intrigued and agrees to help, but becomes vexed by the interplay of the real actors with the unrealized characters, whose literary limbo causes fiction and reality to overlap. 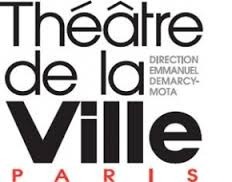 The production is directed by Emmanuel Demarcy-Mota and performed by Théâtre de la Ville, which gave an outstanding performance of Ionesco’s Rhinocéros two seasons ago. Contains adult situations. In French with English supertitles. Where does inspiration come from? What makes an artist tick? Join us for a post-performance Q&A and get a glimpse into the lives and minds of the artists that bring creativity to the stage. Must have a ticket to this evening’s performance to attend. This willl be a unique evening for us francophones and francophiles. Hope to see you there! Born in Romania, lived in Connecticut 25 years, moved to Ann Arbor in 2012. I love France and French language and I want to improve my conversation in French. A theaters is a best and famous source of entertainment an there are so many theaters in all countries that are entertaining the people on large scale. There are so many dissertations services in all countries that are writing about the theaters. Il faut appeler Casey Schmidt (il faut parler seulement a elle) a 734-763-3100 entre 9-5pm Lundi-Vendredi. Il faut lui donner notre promocode (BONJOUR) parce qu'on a une reduction de prix pour les billets pour notre groupe. Please call her as soon as possible!! Le Théâtre de la Ville sera a Ann Arbor pour présenter la pièce de Pirandello "6 Characters in search of an Author" le 24 Octobre a 20h!! La pièce sera en français avec des sous titres en anglais!! A MICHIGAN LEAGUE TICKET OFFICE: Tu vas au bureau et tu en achètes directement. Pour avoir la réduction c'est PAS possible d'en acheter avec l'internet. On a que 20 places a cette réduction alors il faut les en acheter vite!